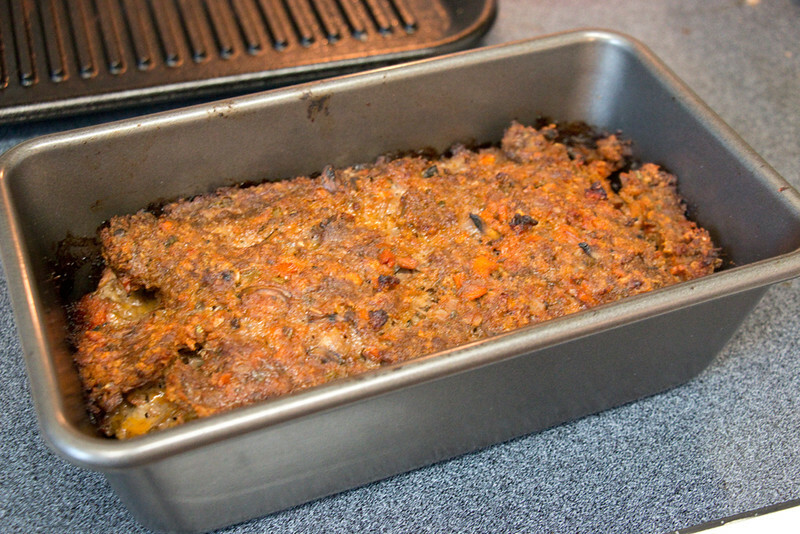 TJ's Hidden Veggie Meatloaf (aka Meat Cake) Mama Say What?! | Mama Say What?! 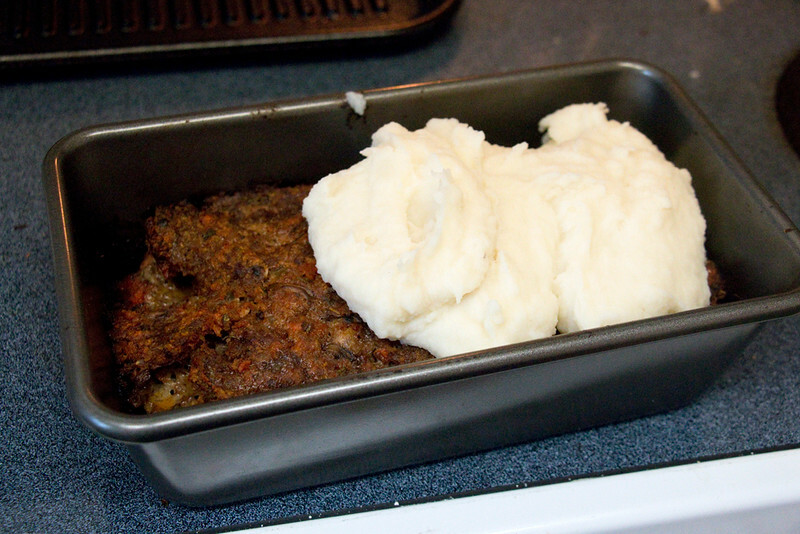 My mom’s meatloaf was a favorite meal of mine when I was a kid; slathered in ketchup and served with mashed or roasted potatoes. I’m sure she served a veggie with it, but I probably didn’t eat it because I hated pretty much ALL cooked vegetables when I was a kid. Little did I know that she’d hidden veggies in the meatloaf. She didn’t reveal this to me until I was an adult and wanted her recipe. Sneaky! 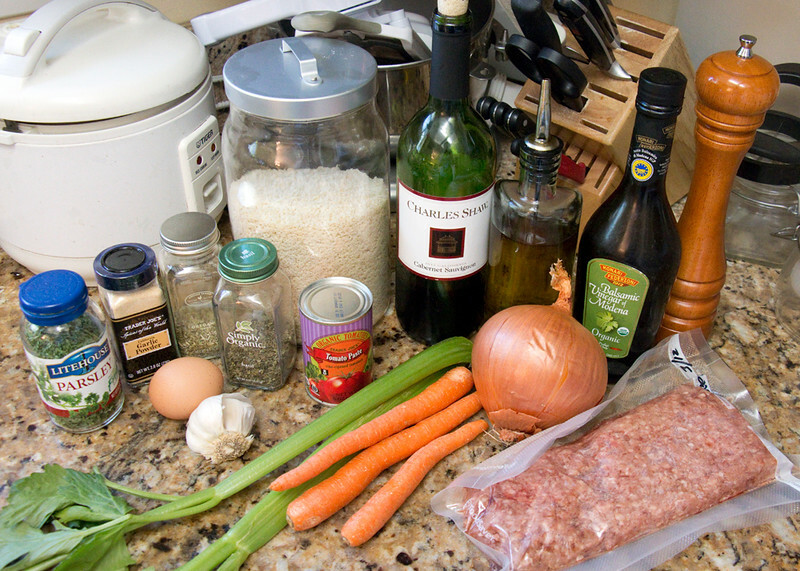 Since becoming a mama, I’ve worked on creating my own version of this delicious meatloaf, hidden veggies included, and below is the final result after my husband and I have tweaked the recipe over and over. To celebrate my husband’s birthday last year, he joked that he wanted a “meat cake” since he isn’t a huge fan of sweets. 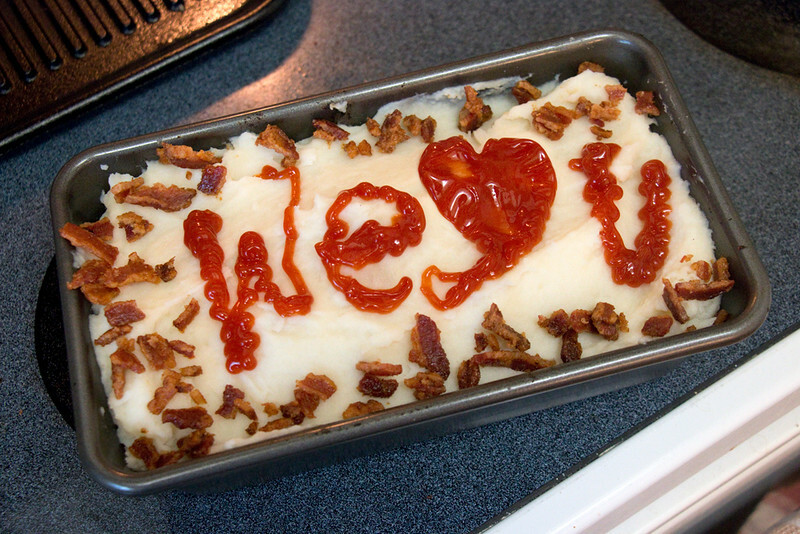 My kindergartener and I made this meatloaf for him, topped it with mashed potatoes as “frosting,” crumbled bacon “sprinkles” and I decorated the top with ketchup in a piping bag. We loved how it turned out so much that it will likely become a requirement for Daddy’s birthday every year. 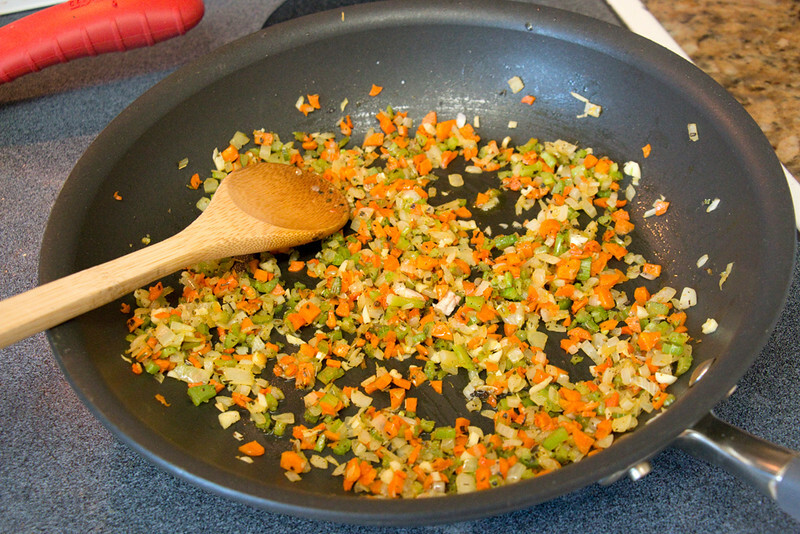 In a large sauté pan, heat up the olive oil over medium heat. 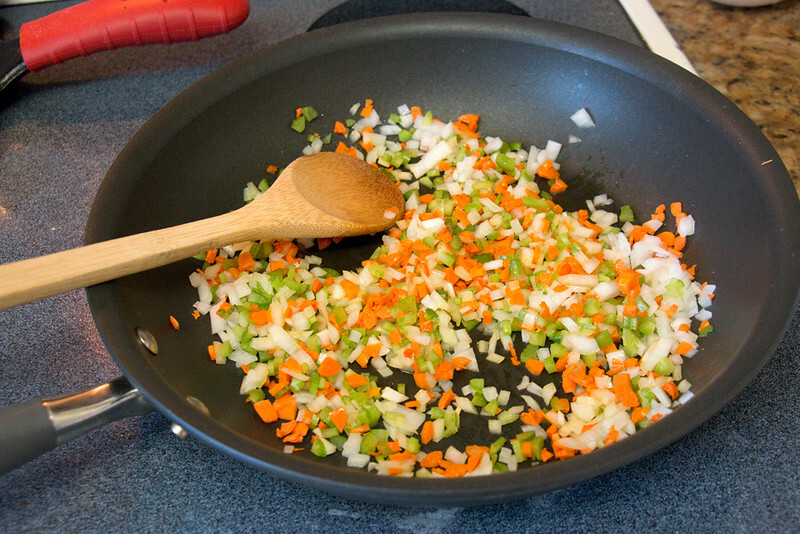 Add the carrots, onion and celery and cook them gently for a few minutes. Add 1 tsp of salt, black pepper, oregano, basil and garlic powder. Stir to combine and cook for a few more minutes. 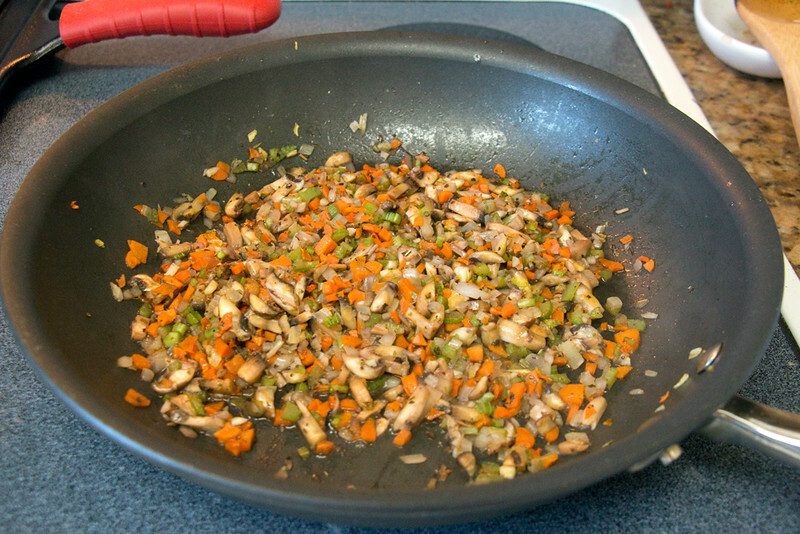 Add the garlic and mushrooms and stir to combine. Cook for a few minutes until the mushrooms shrink a bit and everything is coated in the spices, the onions should be translucent. If you chose to dice the carrot instead of grate, then check to see that the carrots have begun to soften. Add the wine and balsamic vinegar to the pan and stir to combine. Take the veggie mixture off the heat and set it aside to cool. Transfer the mixture to a non-stick loaf pan and smooth it out on top. Bake at 350° F for 1 hour. 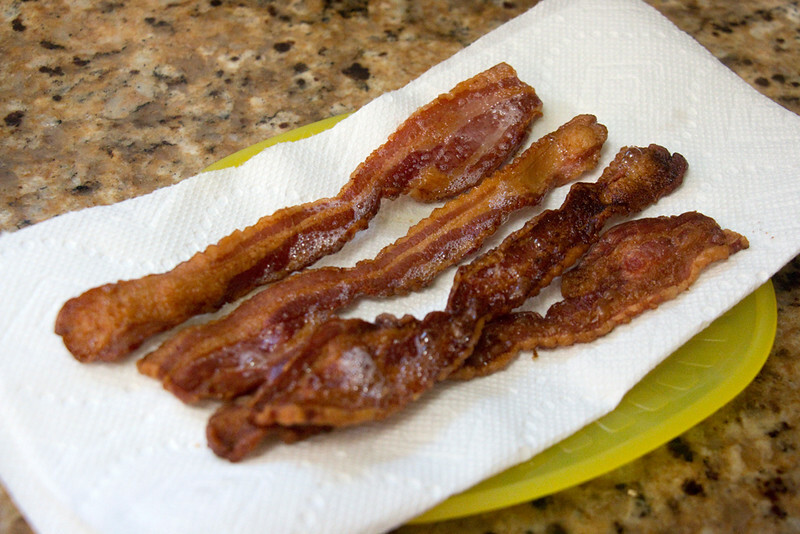 If you’re planning to add bacon to the top, cook the bacon until crispy. You can do it in the oven with the meat loaf or on your stove. 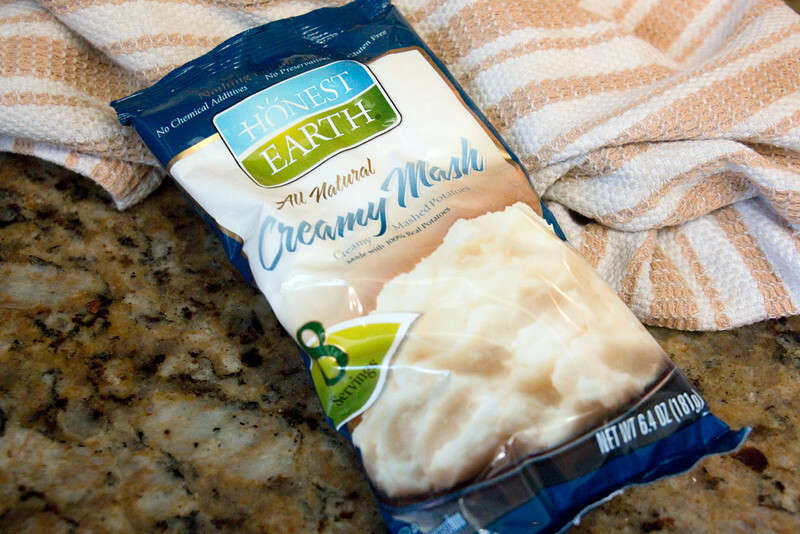 For mashed potatoes, we’ve been using these Honest Earth instant mashed potatoes from Costco. They’re mighty tasty and are ready to eat in just a few minutes. 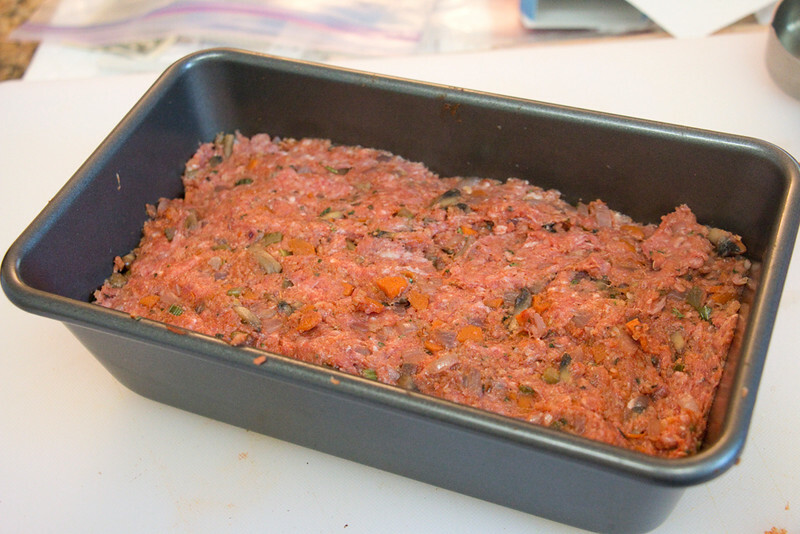 When the meatloaf is done, gently pour out some of the fat that’s bubbling at the corners. Be careful not to let the meatloaf fall out of the pan! The corners usually shrink a little bit when baking… at least mine always do. Let it cool for about ten minutes and then serve with mashed potatoes and a side of vegetables. My favs with this are green beans or asparagus. My son and husband like a little ketchup on top, but I prefer barbecue sauce. 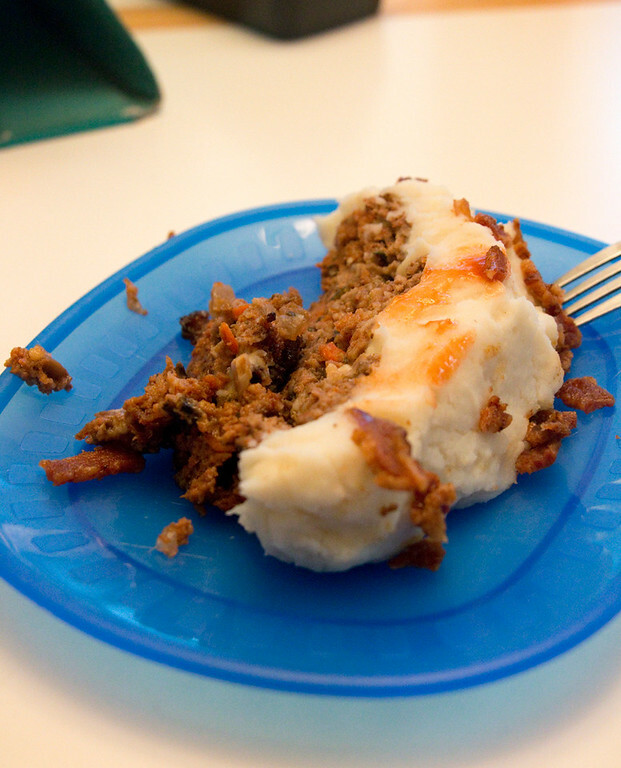 If you want to go the Meat Cake route, then top the meatloaf with mashed potatoes while it’s still in the pan (after you poured out the fat). Sprinkle crumbled bacon on top and decorate with ketchup icing. If you want to get fancy, pour some ketchup into a piping bag or a squeeze bottle and make it pretty! My piping skills definitely need some work, the ketchup was supposed to read “We (heart) U.” Lol! 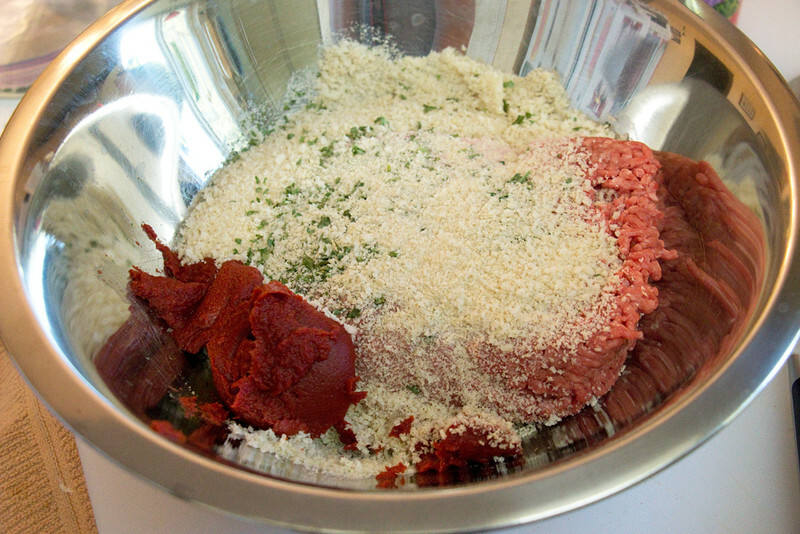 When the meatloaf is done, gently pour out some of the fat that’s bubbling at the corners. Be careful not to let the meatloaf fall out of the pan! Let it cool for about ten minutes and then serve with mashed potatoes and a side of vegetables. Added by Alex T. on September 18, 2015.